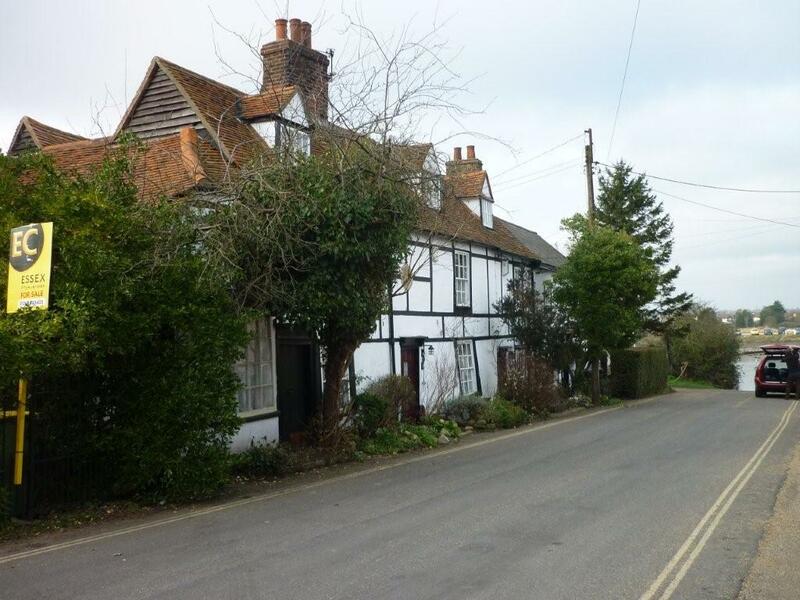 The date on one cottage is 1793 although, according to a survey carried out by a prospective purchaser, it dates from the 1500s. As with the mis-dated Dutch Cottage in Rayleigh, it appears that this building is pretending to be younger than it is..! I believe the Anchor cottages, Ferry Road, were built for some of the "upper classes" from London to escape The Plague. Presumably it was easier to reach places such as Hullbridge by rivers (Thames and Crouch) than to chance the roads. In part of the 50's and 60's one cottage was used as the Anchor Tea Rooms. Myself and some friends knew the proprietors well (forget their name now). One time,when they went on a summer holiday our group ran the cafe for them. (I think we drank more tea than we sold!) Interesting days......R.F.D.